When one of the most influential respected Real Estate brokerage companies in Miami assembles an elite team of over 175 talented real estate agents, marketing the most- anticipated new luxury residential, commercial complexes and estates in South Florida’s history, everyone pays attention. This sought after company was founded by dynamo trendsetter real estate mogul Patricia Delinois. Delinois one of the most powerful women in Miami has three dynamic offices strategically placed in prime locations in Coral Gables, South Miami and Miami Beach. The prestigious CENTURY 21 Company is the largest and most recognized brand in the world. 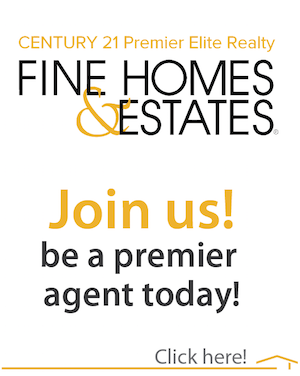 CENTURY 21 Premier Elite Realty has received the President’s Award from CENTURY 21 for the past five years is also the Ambassador CENTURY 21 company for the South Florida area. Delinois has overseen over one billion dollars in real estate sales. Google best Miami real estate company, Top international Miami real estate company or Top Miami real estate Broker and Delinois and her company come up on the first page every time! Patricia Delinois is the 2012 Residential President for the MIAMI Association of Realtors, the largest Realtor association in the United States, with over 34,000 plus members and the world’s largest international council. Delinois has served as a Director for the National association of Realtors and Florida association of Realtors. Delinois also serves on the 2014 Board of Governors for the MIAMI Association of Realtors. Delinois is a founding member of the elite prestigious Master Brokers Forum. Delinois traveled to the Paris Real Estate Expo in April 2011, where an audience of more than a 1,000 attendees heard her French-language presentations on Real Estate and the Miami area. Delinois has done presentations in Portuguese in Brazil and has been a Speaker at many other major conferences. Delinois is co-author on a book with best-selling author Brian Tracy “The Ultimate Success Guide” where she wrote about winning over clients for life and having the King of Pop Michael Jackson as a client. Patricia Delinois always knew she was going to be in Real Estate. Delinois obtained her license at a very young age and has been setting records since the beginning of her career. Her grandfather owned a Real Estate company in New York, and discussions around the dinner table focused on transactions and investments. It was a wonderful education. When Patricia earned her Real Estate license, she quickly began breaking sales records and chalking up honors and achievements. Today she is one of South Florida’s top Real Estate brokers. Patricia’s commitment and passion to Real Estate has resulted in many years of success. Delinois born in Montreal, Canada speaks French, Spanish, Creole, and English and has served as an ambassador to MIAMI Realtor Association/ organization’s international associations. She was named Broker of the Year in South Florida BEST Awards, overseen by the BEST Board of Governors, comprised of representatives from the Builders Association of South Florida and The Miami Herald. She also served on the Advisory Board of Glozal, the Facebook-style social network for Real Estate professionals worldwide, and served as a Miami Beach Glozal Ambassador. Has served yearly as National Association of Realtors Director, Florida Association of Realtors Director, National Association of Realtors Honor Society and more. A firm believer in the importance of social media and technology in Real Estate, Delinois known as the Miami technology Queen has over 300,000 social media followers on google +, Pinterest, Facebook, Linked in, Proxio Pro and Twitter followers between three accounts: @premiermiami @pdelinois and @premierelite, and on Instagram over 37,000 plus followers. Delinois has a powerful client list which consists of a sphere of high net worth individuals, celebrity and high profile clients including a roster of over 10,000 personal contacts, major investors from around the world. Patricia Delinois carries a long list of international clients that are successful in business and find her high standards and impeccable credentials a perfect professional match. Patricia has been an active member of the Woman’s Cancer Association since 1992, past president of the Barton Ravlin Chapter, chair of the Silver Lady and Silver Angel Tea for six years, had served as a member of Honey Shine mentoring program for young girls, Big Brothers and Big Sisters. Delinois was recently elected as an active board member of the Jerome Golden Center for Behavorial Health of the Palm Beaches for 2015/2016/2017. She has also mentored young women to become successful in their careers for over 15 years. Committee lifetime member Tico Torres Children’s Foundation , board member Jerome Golden Center of the Palm Beaches, Connected Warriors, Chris Evert Charities, Easter Seals, Delinois is also a Chairperson for the charity Dress for Success, founding member for Platinum Hanger Society and Committee member for Consequences founded by the Black Foundation. Delinois has inspired numerous young women to prosper in their careers and has helped guide them along the way. Patricia was recently nominated by Coral Gables Chamber of Commerce as an honoree for the 2014 AXA Advisors Businesswomen of the Year. Delinois was recently awarded Quilly and Expy awards for her work in Communications. Recently Delinois was named into the Honor Society by the National Association of Realtors. 2015/2016/2017 Florida International University board member. Pink Project Miami Ambassador for breast cancer awareness. 2015 St Thomas University Global Entrepreneurship Week Panel Speaker. Continuously active in the community, Patricia is a registered lobbyist and has been a trustee member of the Greater Miami Chamber of Commerce, Coral Gables Chamber of Commerce and served as a Real Estate delegate with Enterprise Florida, traveling on trade missions with Governor Jeb Bush and other delegates to Brazil, Argentina, and Chile. Delinois is also a trustee member of the Coral Gables Chamber of Commerce and has volunteered as “Principal for a Day” for numerous schools. Delinois always active in the community is on the committee for the Business Improvement District in Coral Gables. Dedicated to her city and its promising future, she is involved with The Miami 2020 Project, where she serves as a curator along with her partner on the project, Chris Fox Gilson. The Miami 2020 Project will preview Miami’s transformation in architecture, art, commerce, demographics, education, entertainment, government, health care, infrastructure, law, migration, science, sports, technology, and tourism. The project’s goal is promoting, envisioning, building, and creating Miami’s future as America’s magnet to the world, and Patricia is showing how Miami is shaping up as the next global metropolis. As co-curator of the Miami 2020 Project, Patricia will help the world visualize the city’s transformation over the next decade into a magnet city for the global generation.